When your local IT technician or computer repair guru can’t help you get your family photos back from that SD card you accidentally formatted or your mission-critical database back from the server that just crashed, it’s time to call in the experts from a professional data recovery lab. 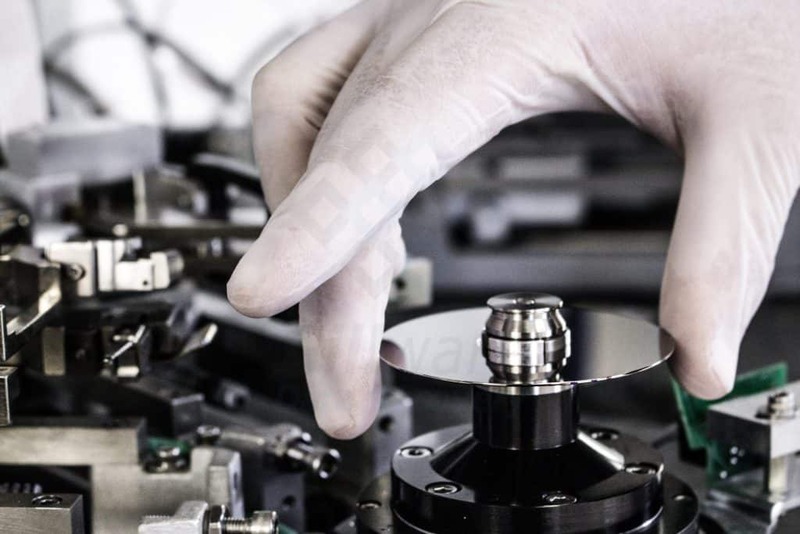 Only a professional data recovery lab with ISO-5 Class 100 clean environments and skilled technicians can reliably perform the delicate work needed to repair a broken hard disk drive and salvage the data from it. Whether your computer’s hard disk or external hard drive is clicking or beeping or your server has suffered multiple hard disk failures, Gillware’s data recovery lab is here to make things right. Gillware’s experienced computer scientists and mechanical engineers specialize in recovering data not just from broken hard drives, but also from USB flash drives and SSDs, phones and tablets, virtual machines, and RAID servers. We deal with everything ranging from catastrophic failure to accidental deletion on a daily basis. Need help from the best data recovery lab in the US? Click here to get started! Data recovery services exist to help you retrieve lost or inaccessible files from storage media such as hard disk drives, solid-state drives, mobile phones, USB flash drives, RAID servers, and other devices. This data can be lost through accidental reformatting or deletion, or the device can be physically damaged and inoperable. While your local computer repair shop or Geek Squad can usually help you recover deleted files, if your device is damaged and inoperable, you will need to turn to a professional lab like ours to retrieve the data trapped within it. Professional labs like Gillware have incredibly powerful hardware and software tools which allow highly-skilled and well-trained experts to salvage data from broken and corrupted storage media. Whether you need to retrieve deleted documents or photos from your phone or your computer hard drive is clicking or beeping, labs like Gillware’s are where you want to go for help. A Secure, World-Class Data Recovery Lab at an Affordable Price? Our goal isn’t to provide the cheapest data recovery services, but we’ve always cared about providing data recovery services that make sense not only to large corporations but also to small businesses and end users as well. Our goal has always been to take as much of the sting out of data loss situations as possible–including, when possible, making it painless for your wallet as well as yourself. Not only are our prices lower than many of our competitors, but our entire data recovery process is financially risk-free as well. We charge no upfront fees for evaluation or recovery, and we’re even happy to cover inbound shipping costs. Our “no data, no charge” policy states that if we don’t meet the goals you set up for your case and can’t recover your valuable data at an agreed-upon price, you don’t pay us a dime for our services. Gillware was the first data recovery company in the United States to pioneer this level of customer-friendliness. Internal hard drive repair must always occur in a cleanroom environment since dust and particulates should never be allowed to gather on the platters under any circumstance. Gillware has had to move to larger facilities four times in the last thirteen years to accommodate more staff and more equipment. And the modular cleanrooms came with us! In addition to cleanliness, security is a crucial aspect of any professional data recovery lab. In the modern era with more and more cybersecurity threats to worry about popping up every day, keeping the massive amounts of data that run through any professional data recovery company on a daily basis is paramount. In order to salvage data from a failed storage device, a technician must use fault-tolerant forensic imaging equipment to copy as much readable data as possible to a healthy storage device before analyzing and extracting the recovered data. Gillware uses its own proprietary hardware and software bundle to accomplish this goal. Dubbed “Hombre,” our forensic imaging equipment is, without a doubt, one of the most powerful data recovery tools in the world. In this video, you can see Hombre in action and learn what it looks like to use the most powerful data recovery software in the world. With the ability to parse and utilize file system and file metadata while imaging, Hombre makes intelligent, fault-tolerant, forensic images of the storage devices sent to our recovery lab. A unique hardware driver only allows read access to the devices, making it impossible for us to alter any of the data on the device. When hard drives are repaired, they rarely behave optimally. Maybe they can only read one sector every 30 seconds. In this case, most operating systems will just throw up their hands and give up. Sometimes a drive can take up to ten minutes to report as ready in the BIOS. But Hombre doesn’t care. Hombre has been designed to be more fault-tolerant than any other data recovery software on the planet. In addition, there are many ways to configure Hombre, giving experienced technicians a level of control unseen with most imaging tools. The level of flexibility and power demonstrated by Hombre is key in providing the excellent service Gillware Data Recovery is known for. By keeping a status map of the read status of billions of sectors and a relational database of file systems and files, then cross-comparing its status map with the file system database and file metadata, Hombre shows in stark detail which data has been successfully read. The data can then be shown to our end users if necessary. In cases where we have not completely met our clients’ goals, we can easily show them which files have truly been recovered before they decide whether or not to pay for our services. In this video, you can see how our burnishing machine works to help us salvage data. Gillware is one of the only data recovery companies with platter burnishing technology. In a spinning-disk hard drive, all of your data is stored on hard disk platters. These platters are coated with a thin ferromagnetic substrate. When a hard drive is damaged, the read/write heads that normally float a few nanometers above the platters can collide with them and scrape off the coating. If this happens, the read/write heads, as well as the platters, can be severely damaged. The dangers of this are twofold. Not only has a portion of your data been irreversibly destroyed (and the read/write heads as well). Particulates kicked up from the collision can embed themselves in other parts of the platters. Any replacement read/write heads we put in on the drive rely on the platters having a smooth surface; platter dust can cause severe damage to them. If something isn’t done about that dust, any further data recovery efforts will be in vain. 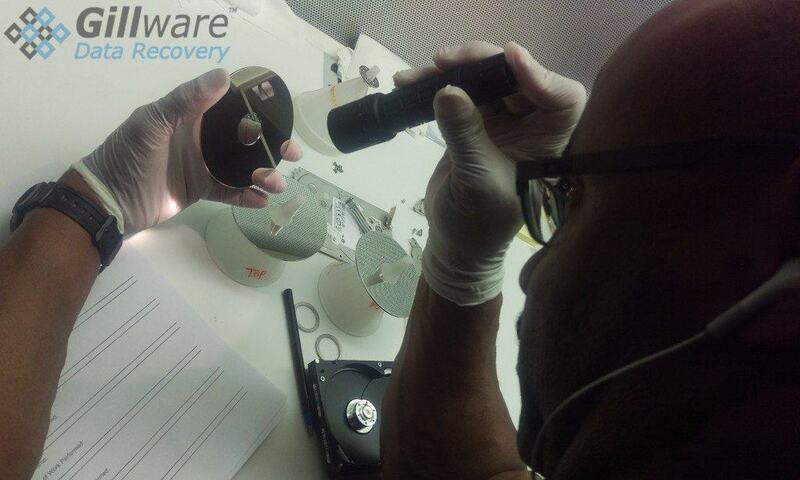 At Gillware, we’ve developed our own platter restoration equipment for our data recovery lab. The hard drive platter burnishing tool we use is based on the same tools hard drive manufacturers rely on to buff out imperfections in their platters. First of all our glide burnishing equipment must identify the amount and severity of the platter damage. Then it shaves off anything sticking up above the platter’s surface. Think of it as an extremely precise, nano-scale razor. The result is a far smoother surface that our replacement sets of read/write heads can read data from. The vast majority of cases in which a hard drive has been damaged require our engineers to seek out replacement parts. Each manufacturer builds their hard drives differently, so every hard drive is unique. The differences from model to model, even from the same drive manufacturer, can be enormous. In this situation, the last thing our engineers want to do is have to find the resources required online. Finding a compatible replacement part for a failed hard drive can be a trial-and-error process, and even parts from the same model may not be compatible enough to serve as adequate donors. There’s nothing worse than ordering a replacement part (in our case, an entire hard drive we then must dismantle ourselves to get the resources we need) on the internet, waiting a few days to receive it, and then finding out that it just doesn’t work. The last step in the data recovery process before we ship off a client’s data is, of course, quality assurance. At Gillware, we have a quality assurance test for every drive that leaves our facility. We have to make absolutely certain that our customers only receive the data intended for them. Since we deal with so much sensitive information, this is a crucial part of our data recovery lab’s operation. When we extract our forensic image of a data storage device to a new hard drive, Hombre deposits a quality assurance file into every folder. Every single case we receive gets a 100% unique QA file pattern. Before we send a destination drive off to our customer, we have our quality assurance software scan the drive for this QA file. If it encounters even a single QA file that belongs to another case, then the customer’s data could be contaminated by data from another case. The presence of a foreign QA file will always make a destination drive fail the quality assurance process. We never ship data to a customer without getting a green light from our QA system first. Once the QA system has given us the green light, we extract our recovered customer data with hardware-level encryption. When we generate a password for the destination drive, it is sent only to the intended recipient of the data. Therefore, only our customer service representatives and the intended recipient are capable of accessing the data. This keeps your important data safe and secure in case it is mistakenly delivered to the wrong address or intercepted while in transit. One thing every professional data recovery lab cannot afford to skimp on is the ability to securely store and completely erase the data recovered for its clients. Gillware’s data recovery lab has serviced over 100,000 in-lab recoveries over the past 15 years with a success rate greater than 98% overall. 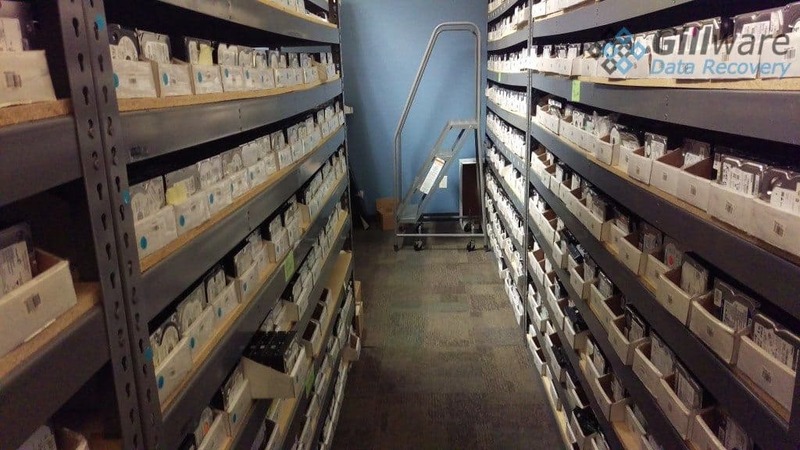 One side-effect of offering in-lab data recovery services is that at any given time, we have to temporarily store a whole lot of extremely sensitive information, including ePHI protected by HIPAA guidelines and other data that is for nobody’s eyes but our clients. Therefore, the storage that temporarily holds our client’s data is 100% sanitized between cases so that the chances that anybody other than the client could get access to their own information is zero percent. The internal customer data drive that holds onto the forensic image copy is connected to our data recovery CRM via serial number. We know the exact drive we copied and exactly where that copy went. After the data has been delivered to our end user, the drive is sanitized and watermarked and ready for the next customer. The successful data destruction history is also logged in our CRM. All an engineer needs to do is insert the drive into our drive sanitizer. An automated process looks up the drive by serial number and checks the CRM to see whose data is stored on it. It then confirms that it is okay to destroy the data to prevent accidental deletion. If all is clear, the sanitizer securely overwrites each and every sector on the drive. This process can take around a day, depending on the size of the drive. When the sanitizer is done, another data recovery engineer removes the drive from the machine and puts it back into circulation as clean as the day it was made. Whether the hard drive in your PC is clicking, your Western Digital MyBook or MyPassport external drive just took a fall off your desk, the four-drive NAS device at your small business failed, or you’ve just suffered a mission-critical server crash that’s ground your company to a screeching halt, you’ll find no better ally than the tireless data recovery specialists in Gillware’s data recovery lab. The cost of data recovery depends on how much hard work and special tools it takes to salvage your data. This is why professional labs like Gillware’s will always evaluate your data for free and provide a firm price quote before going ahead with any recovery work.